I figured the water pressure would be higher there and the flooding more serious. 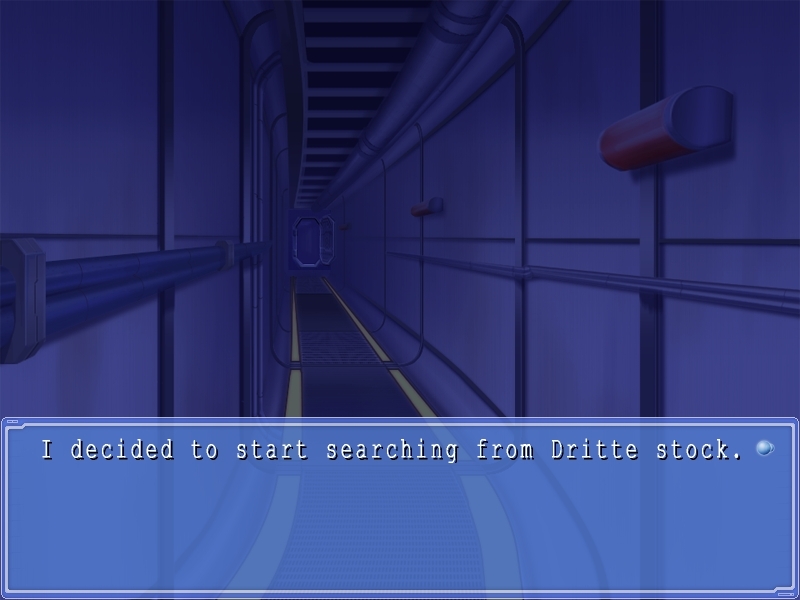 If she were in Dritte stock, then I'd have to start there to have any hope of finding her. 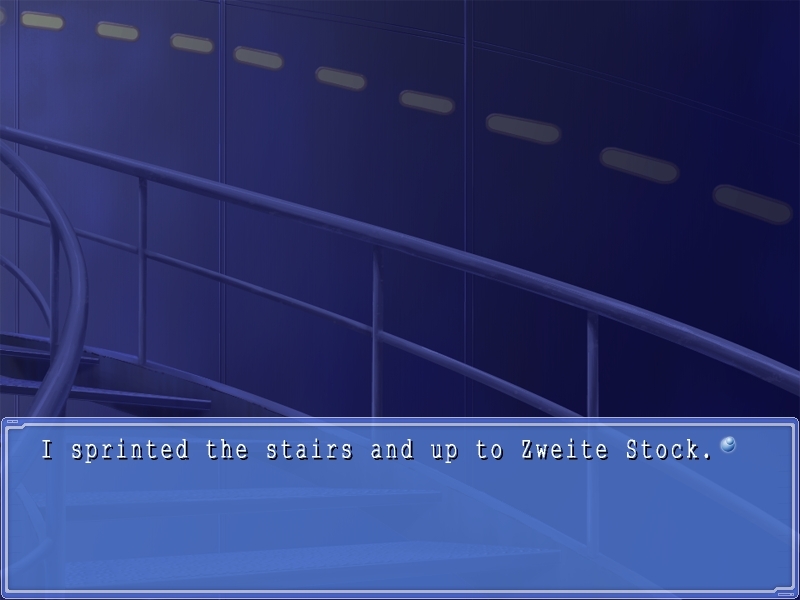 I headed down the stairs to Dritte stock. If Sara were here, where would she be...? The Conference Room or the Control Room? Or could she have been at one of the attractions? Peering down through the emergency hatch, I realized that the flooding had already progressed a lot. 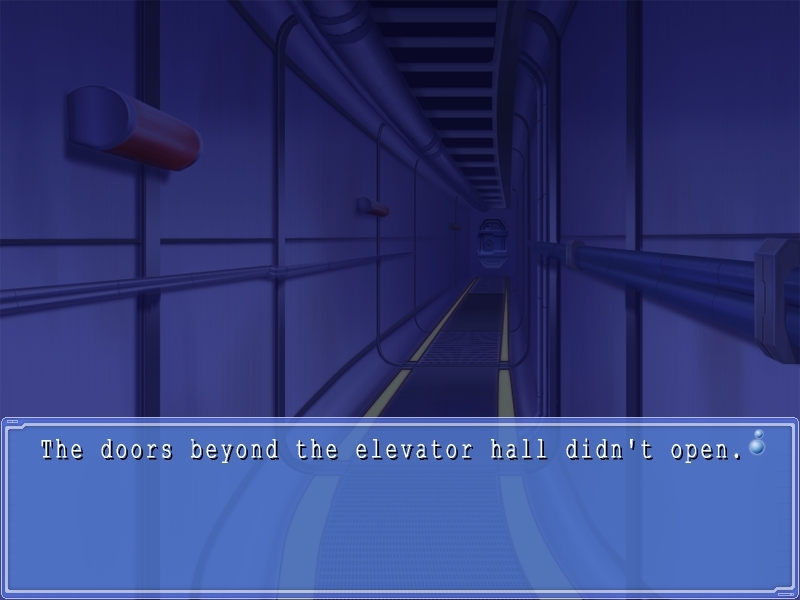 It seemed best to check each room from the emergency corridor rather than going all the way down. I wondered if Sara really were on this floor...But having come so far, I knew there was no going back. 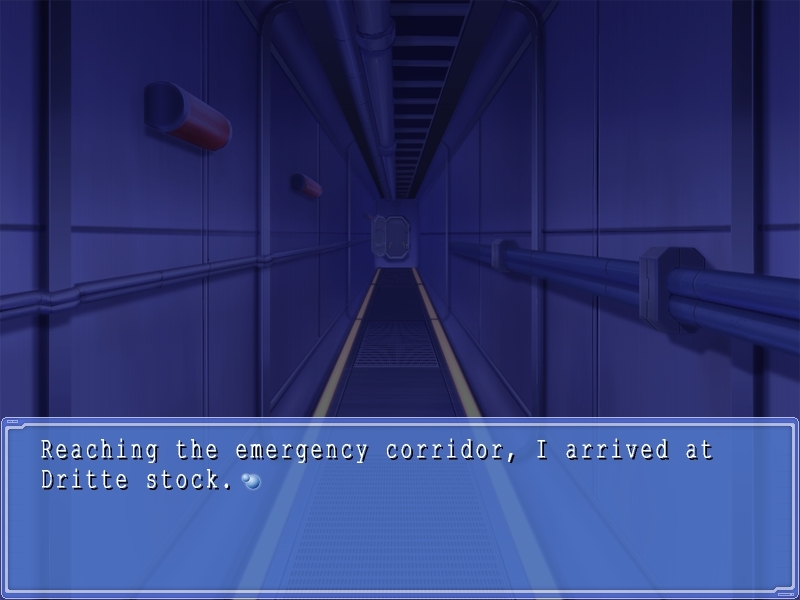 I ran through the emergency corridor. Opening the emergency hatch to each room, I peeked inside. If Sara were there, I'd be able to see her body heat. 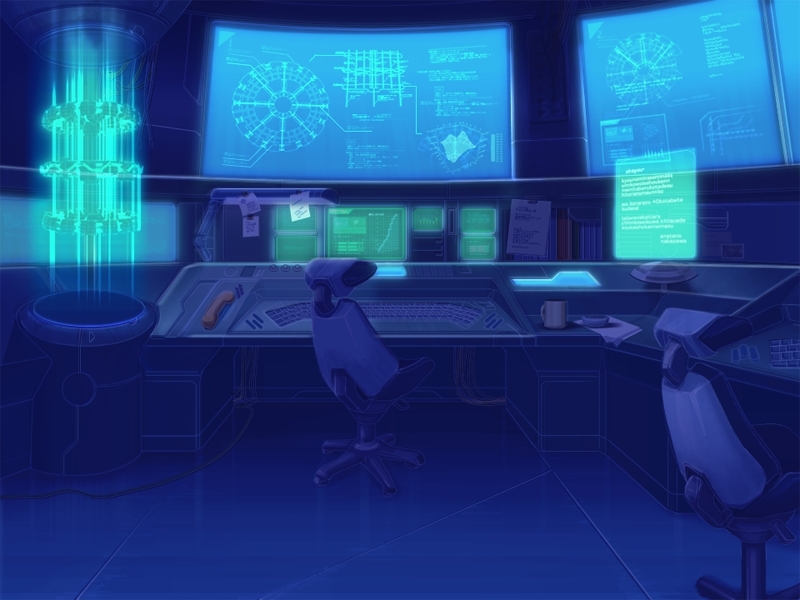 I looked in the Conference Room and the Control Room, but there was no sign of her there. The water only continued to rise. I frantically ran down the emergency corridor moving from one attraction to the next. The sound of the water grew louder and the shaking of the structure stronger. 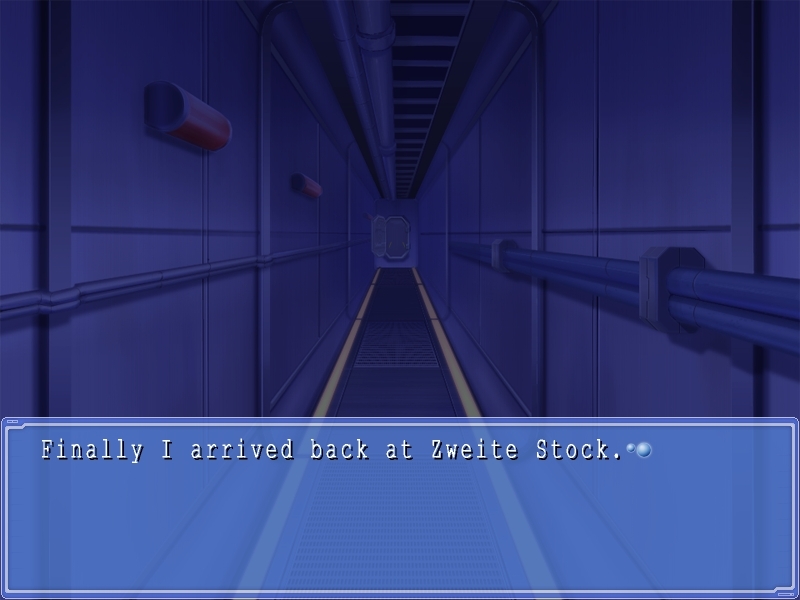 If I didn't hurry, I wouldn't make it back to Zweite Stock. I knew I had to hurry to the emergency stairs. 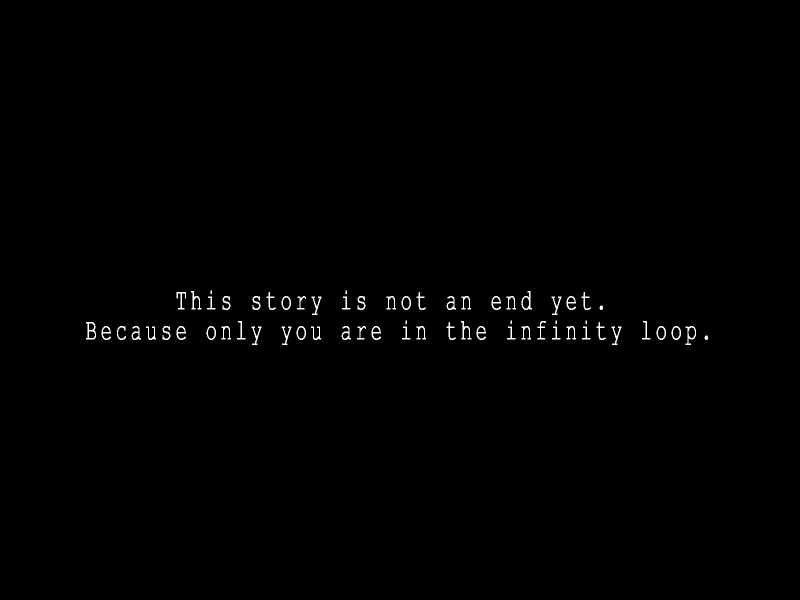 I had lost a lot of time. I had to hurry. LeMU was shaking terribly and the area below the emergency hatch had already filled with water. It looked like water was about to flood into the corridor. I plunged into the water. Sara wasn't there. I was able to steal a breath using the air at the top of the room. 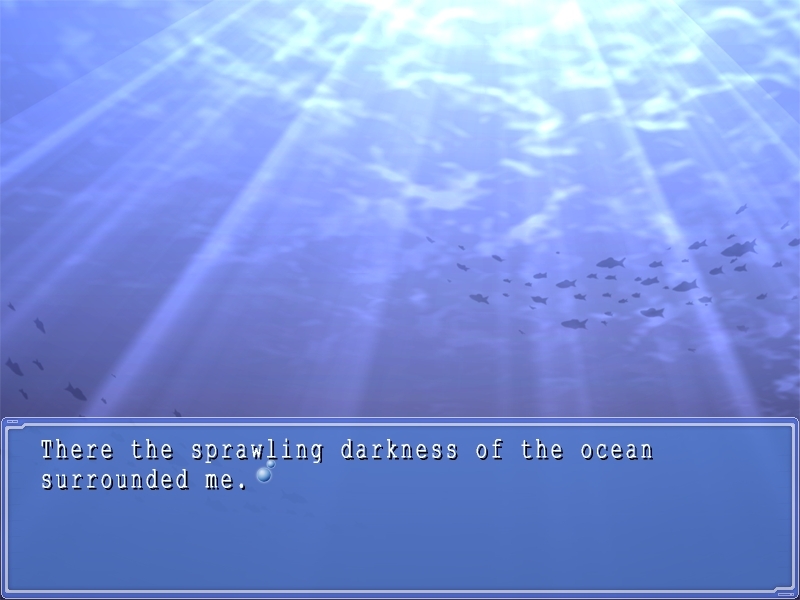 I dove into the water again and swam for the infirmary. The infirmary door was open. 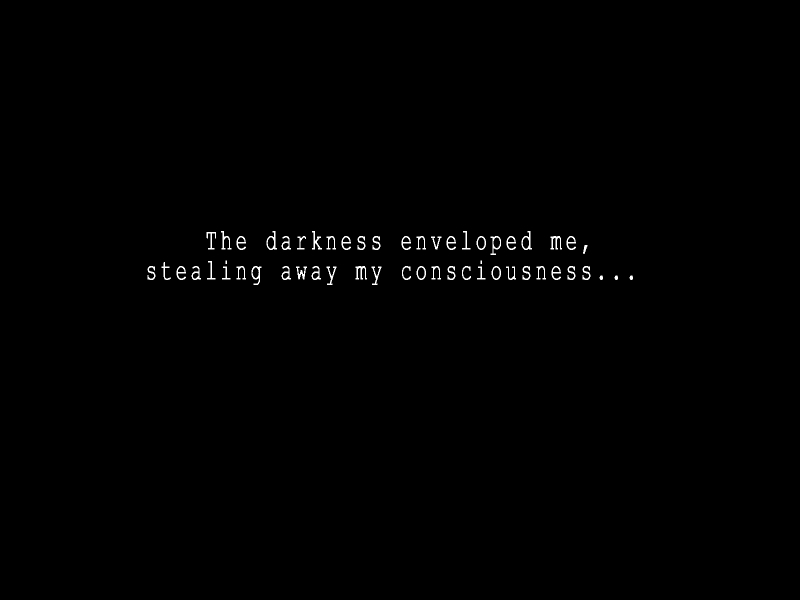 I looked inside. Sara's body stood out white in the dark water. This room also had a pocket of air near the ceiling. Sara was just barely floating there. I floated to the surface. I swam up next to Sara. She smiled weakly. She was spent and unsteady on her feet. "Why...why did you come back?" "I came back to get you of course!" "Sure. I promised, didn't I...?" "Oh...I'm so sorry, Sara. I...I know I made you wait such a long time..."
"No...it's alright. I mean you came and everything..."
"Sara...why did you come back...?" Saying that, Sara removed the fragment that was embedded in my finger. "Because...this is proof of how you looked after me..."
"I felt like...if this disappeared...then my connection to you...would be gone..."
"I'm sorry...I got you...involved in this mess." "It's alright. I only came...to keep my promise." I desperately tried to prop up Sara to keep her from sinking. "Sara, hang on! Fight Sara!" I remembered that the air pressure here was compressed to 4.5 atmospheres because of the water pressure. Sara had probably gotten oxygen poisoning from breathing the oxygen-heavy air. That compounded with the fatigue from treading water in the cold seawater...The combination had probably rapidly robbed Sara of her strength. I didn't know what to do. 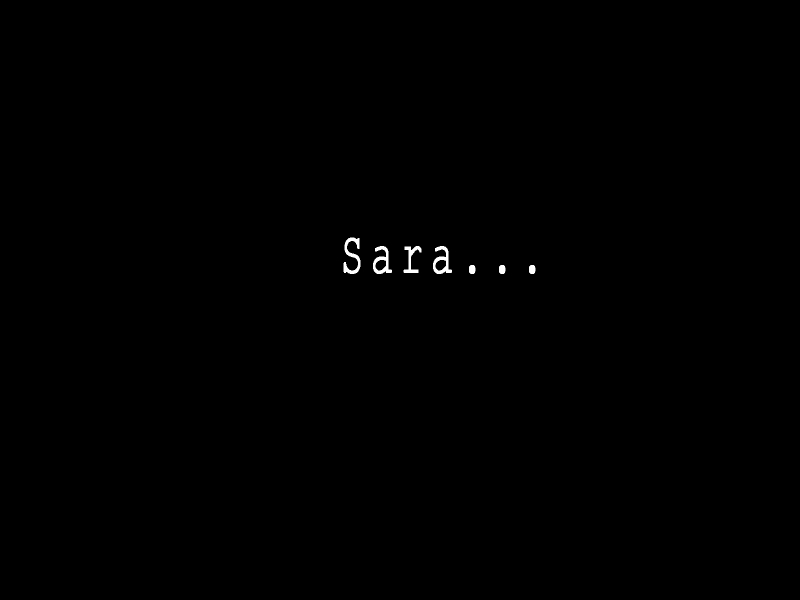 And I'd finally found Sara. 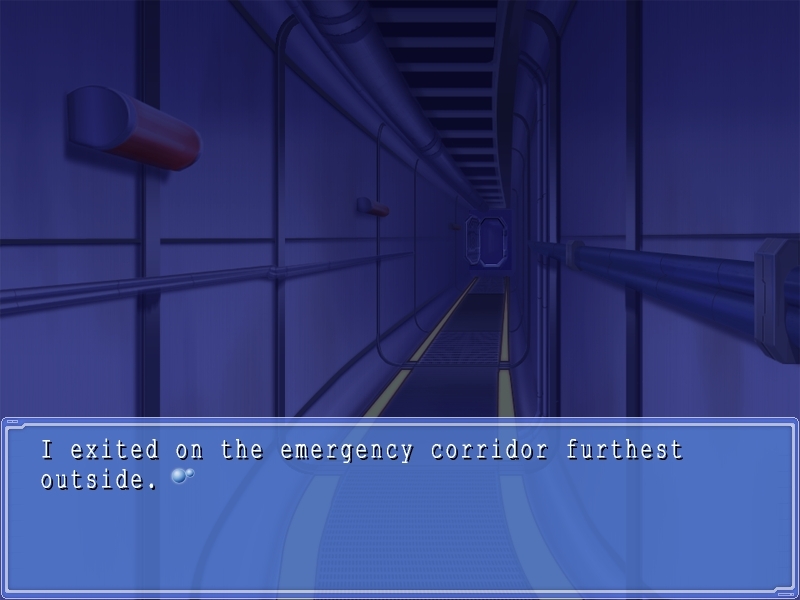 "Anyway, let's head for the emergency corridor!" 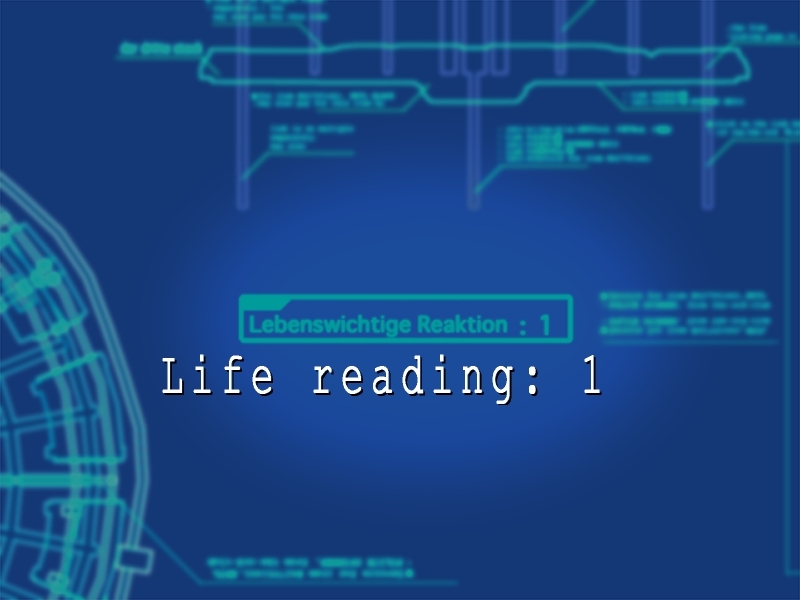 A metallic scream echoed through LeMU as a shock wracked the structure. At the same time, the flow of the water increased dramatically. The shock shook Sara loose from my grasp. I hurriedly struggled to lift her up. It looked like she had swallowed some water. 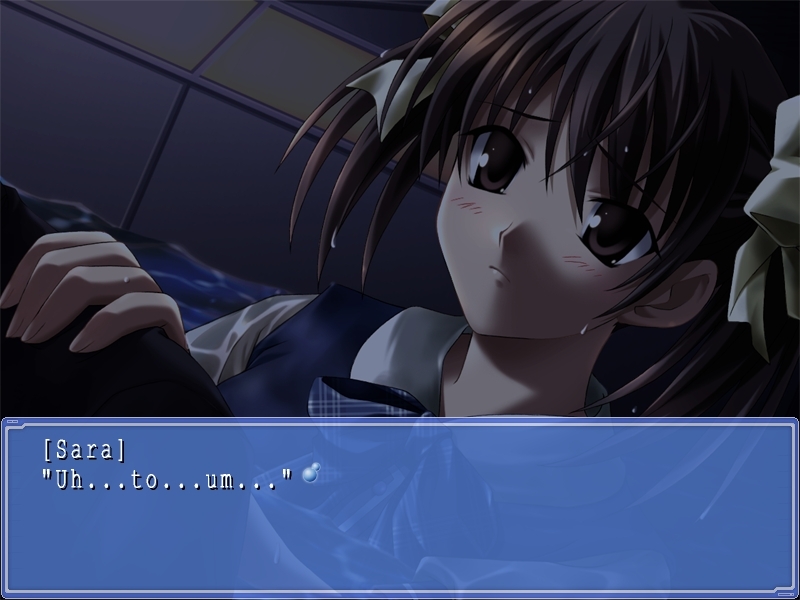 Her breathing was labored...What should I do...what could I do...? With a dull groan, LeMU tilted causing the water to ripple. "Hang on Sara! Just hang on!" I called to Sara as I desperately floated in the waves on the surface. "I'm sorry...so sorry. My body...it won't move..."
"No! Sara! Hang on! We've finally found each other! Sara! Open your eyes! Sara!" Sara's body went limp. I swore inside my mind. Why, why, why? 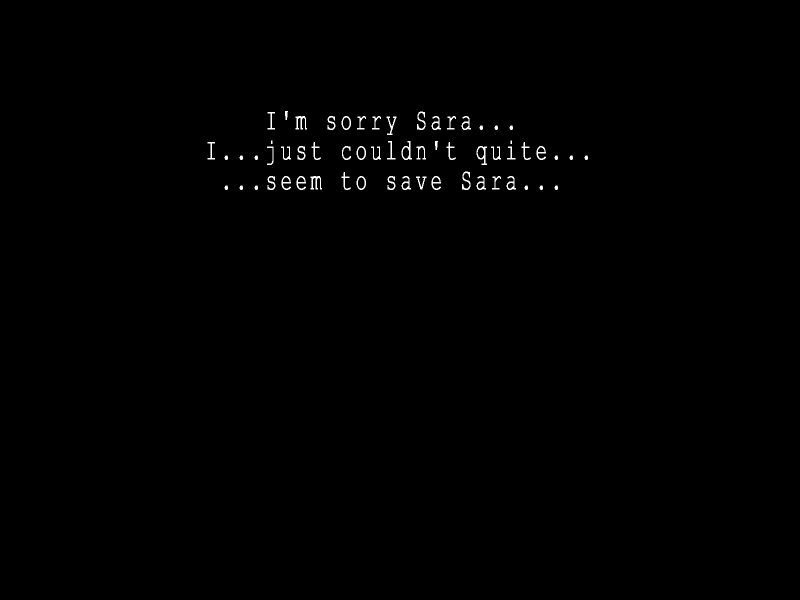 I wondered if there was no way that I could save Sara? I took a big breath and, holding Sara, dove under water. If I let us stick around, we would have been crushed. The irregular shocks continued and the sounds of metal on metal echoed harshly. LeMU was already mostly filled with water. I ducked into a crack running down the wall that was just big enough and slipped outside.